Hallmark Channel will be making some more changes to its line-up this week. Starting Wednesday, January 29, afternoons and evenings will have some changes. From 2-4pm, Hallmark will cut out Home Improvement and move The Brady Bunch to this block. Little House on the Prairie will now occupy the 4-6pm block where The Brady Bunch was. Hallmark will keep the 6pm hour of Little House, so now the series will air from 4-7pm, gaining an additional hour. Its 7pm airing will be replaced by another Waltons airing, so that series will get an extra hour as well and will air from 7-10pm in primetime. So the odd show out is Home Improvement, as it is no longer on the schedule starting Jan. 29. The series was not airing on the weekends, so it will not be added to weekends. We'll let you know if and when it returns, but as of now, Hallmark has removed the show from its line-up totally. Stay with us for continued updates for Tim "The Toolman" Taylor and family. USA Network has picked-up the ABC Signature and The Mark Gordon Company produced courtroom comedy Benched. 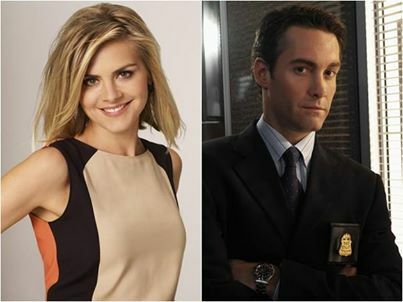 The series stars Eliza Coupe (Happy Endings) and Jay Harrington (Better Off Ted) and marks the first series out of ABC Signature, the boutique division of ABC Studios. Benched is USA's first series pick-up of the year. They have already picked-up two other comedies: Sirens and Playing House. The latter was ordered to series but is still waiting for a premiere date. Sirens premieres March 6. The network also has several drama pilots in the pipeline including Complications, The Novice, Rush and The Untitled Jablonski Project. In November, USA picked up the event series Dig, an action adventure drama from co-creators and executive producers Tim Kring (Heroes) and Gideon Raff (Homeland). Benched is a single-camera half-hour courtroom comedy that focuses on Nina (Coupe), a dedicated, career-driven corporate attorney who has a very public nervous breakdown after getting passed up for an expected promotion, and finds herself working as a public defender. Her personal and professional worlds are turned upside down when she joins the ranks of the legal world's underdogs and very quickly realizes that the law isn't quite as fair as she once thought. Jay Harrington stars as Nina's new colleague, Phil, a tall, dark and handsome, if not a little scruffy, public defender and avid gambler. 12 episodes have been ordered. Stay with us for a premiere date and time.